METEOR SHOWER: Memorial Day Weekend will see the Camelopardalid meteor shower. No doubt some will see this as signs in the sky. 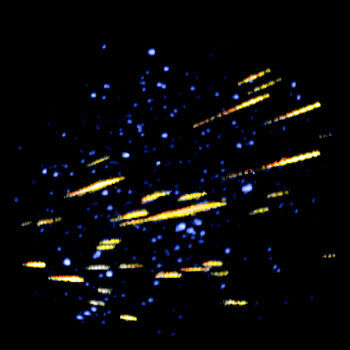 Meteor shower: a natural bit of fireworks in the sky. A new meteor shower will be taking place on the night/early morning of May 23 and May 24: the Camelopardalids. They are called the Camelopardalids, and it gets its name from the constellation it radiates from Camelopardalis. Unlike other better known meteor showers like the Perseids or Leonids that have been happening for hundreds of years, we’ll see history in the making as the Camelopardalids shoot through the sky for the first time ever. The most promising of the news stories hinted at perhaps something spectacular. The writer at USA Today speculates that the meteor shower could turn into a “meteor storm” in the headline. But he doesn’t provide much of a foundation for his speculation. It’s called the Camelopardalid meteor shower, and unlike annual showers such as the Perseids and Leonids that have been occurring for hundreds or thousands of years, it will occur for the first time the night of May 23 and early morning of May 24. Another media source wasn’t so sure about the “meteor storm” claim. Meteor storm? Well, maybe and maybe not. A predicted new meteor shower this Friday night or early Saturday morning (May 23-24) is likely to be at least as good as the best annual meteor showers – and has a chance to be much better. The lowdown on the Memorial Day meteor shower (which is probably what most people will call it). Multiple studies predict Comet 209P/LINEAR may cause a new significant annual meteor shower which would appear to radiate from Camelopardalis on the night of 23/24 May starting in 2014. 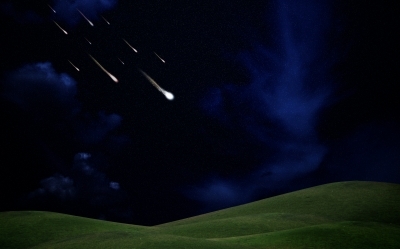 There may be 100 to 400 meteors per hour. We may have a new meteor shower this month. Set your alarm before 3am EDT on the 24th. Look overhead or in the darkest, least obstructed part of your sky to see the most meteors. Mathematicians calculated the debris trail from Comet 209P/LINEAR’s will be thick enough to produce a good meteor shower when the comet’s orbit intercepts the Earth’s orbit. Don’t be disappointed if you only see a few meteors; the ones you see are likely to be brighter and slower-moving than meteors you typically see. And there’s always the chance of a meteor storm! The comet itself is predicted to be 11th magnitude or fainter when it passes at a safe distance from Earth five days later. Check back for updates and news as the event draws closer. NOTE: Though some may claim this as part of some sort of “prophecy” or another: this meteor shower does not relate to any Bible prophecy.